Harishchandra was the 28th king of the solar dynasty. Stories about his life are very popular. They tell children the power and beauty of truth and courage. 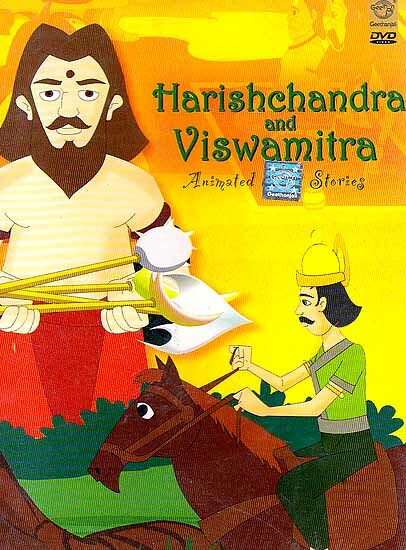 Harishchandra was renowned for his goodness and justice. He had two unique qualities. He always kept his word and never told lies. These two qualities were tested were heavily in his life by various circumstances that led him to poverty and separation from his family. But he stood by his principles and succeeded in the end. Vishwamitra was a king in Ancient India and was a Valiant warrior. He wanted to attain the same spiritual power as the sage Vasistha and become his equal a brahmarishi. He undertook a fierce penance for a thousand years after which named him a Rajarishi or royal sage. After great character of India mythology and his life is full of great events and challenges.